PERTH DRESSAGE CLUB AGM 2013 at Lamonts ! see the flyer below, your chance to become a member of a great dressage club ! Dressage Judges Taskforce joined with many WA judges to celebrate a significant birthday for Benita Wilson (pictured front left as her birthday cake was presented) at Swan Valley Equestrian Park for their annual end of year get together last week. Benita has judged Dressage for 32 years, and at many smaller events, has judged from Grand Prix to Preliminary on the same day. 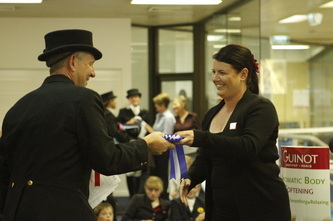 After a long career, and thousands and thousands of kilometres of driving with her husband Tony (pictured to the right of Benita) to judge at events in regional locations including Albany, Geraldton, Kojonup, Esperance, Margaret River, Narrogin, Katanning and many more, Benita announced her retirement at her birthday celebration on 29 November. Benita has had a strong interest in a variety of aspects of equestrian pursuits, having been a Show Horse Judge as well as a Dressage Judge, and Judge Mentor. Benita has been contributing to equestrian events in WA since she and Tony first came to Australia in 1963, when she introduced eventing to WA, and actually built the first course herself! For many years, Benita supported and championed Dressage events for younger riders, and for ponies. It must be very gratifying for her to see the strong interest younger riders and owners of ponies now show in Dressage, an area which will strengthen skills and experience in Dressage for the future. We all wish Benita a very healthy and happy retirement, time for her to take a rest after so many years of dedicated service to her favourite sport. Tuesday 23 November was an evening to remember, Jennie Loriston-Clarke kept her audience spellbound with her enchanting mix of hilarious stories and her enduring passion for Dressage. Almost 40 judges, riders and coaches enjoyed wine and cheese at Brookleigh Estate, for an evening organised by Dressage Judges Taskforce. Jennie had just spent quite a few hours over the weekend with eventers, and her message for them was the horses were too restricted, meaning the horses were not able to use their shoulders freely, and that the solution was, the rider must send them forward to get the horses moving more through their backs, and that this was easier to do in canter than in trot. When the canter starts to go flat, rather than trying for more bend, her advice was to almost counter bend the horse, ‘...it makes them push the weight onto the inside hind leg, and then you get a bigger canter. Once the horse supports itself more on the second hind leg, you can improve the bend,’ she explained. Always on the horse’s side, she reminded both riders and judges to be quick to reward, and discussing marks, she said, ‘We’ve got to encourage riders with a 10 if the movement is excellent!’ She told us proudly, Carl Hester on Utopia at Rotterdam CDI3* received a 10 from all 7 of the judges for one extended trot! She welcomed the recognition of lightness and harmony in Carl’s riding, and in Charlotte Dujardin and Valegro at the Olympics – ‘not all fire and brimstone!’ was the comment! Discussing Novice level tests, she talked about the ‘dreaded leg yield’ observing how often riders seem to want to bend their horses’ necks, causing them to simply fall sideways. Jennie felt that in her opinion, shoulder in provided a far superior exercise to have the horse from the inside leg to the outside rein. Jennie regaled us with many funny anecdotes about judging experiences, from giving her comments and marks to a penciller seeking refuge under a table from heavy rain in an effort to keep the test sheets dry enough to be able to record marks, to a tent blowing down mid-test on top of her in wild wet, windy conditions in Ireland, to a writer asking her if he should wake his judge up when he went to sleep! When a Dressage horse was a bit fresh at a big event some years ago, she said she had used a pipe opener in the morning work out on an adjacent race track to have the horse at his best in the competition, but she said, sometimes if they are fresh it might be better to have a gin and let the horse do its bit! Jennie kept us completely captivated from beginning to end, the time just flew by. We look forward to having her back in WA early next year, and hope we can share more time with her then, learning from her vast experience as a successful Olympic Dressage rider, trainer and FEI Judge in our fabulous sport. Megan, Acting High Performance Manager at EWA, applied for a one year Masters in Sports Administration and Technology in Lausanne, Switzerland, and was successful! The program was initiated by the International Olympic Committee and is run through four of the major Swiss Universities. One of the aims of the course is for the students to be offered a career in sport after graduation. Many of the graduates of the course have gone on to work within an International Sports Federation (approximately 40 of whom are located in Lausanne itself) or with the International Olympic Committee. Best of luck with the course and your career Megan! Deon Stokes – Success at the Nationals! What a trip!! We never imagined that we would come home with 2 National Championships and a bunch of good placings and percentages in some really strong classes!! We left Perth on 9 October to take our team of 3 horses over to the National Dressage Championships which were held at SIEC from 25/10/12 to 28/10/12. This team consisted of the two stallions, Royal Oak II and Bellario, owned by Kate Barton and Evenfall Capulet owned by Gill Botten. On Friday Bellario was a bit green in his first Advanced and was a little wary of the arena. He was still a very good boy but being a little bit tentative certainly reflected in his marks. He is only just 7 and is still new to that level. He still finished on a 66.10% and it is testament to the quality of the classes that this sort of score will have you in 8th place. He was much improved in the 2nd test. He had relaxed into the arena atmosphere and ran a very good 3rd with 67.54%. Capulet was super in both Advanced tests, he is such a consistent horse and what he lacks in flamboyance he certainly makes up in rideability. He did a super first test to run 8th overall and a very consistent 2nd test to run a credible 13th out of 28 starters. The final test for Friday was the Inter 1. Given that this was Royal Oak’s and my National FEI debut, it was quite a class to step out in! Royal Oak was super in the Inter 1, he was quiet and rideable and given our fairly significant nerves we put together a credible test. We ended up 9th on a good score of 67.29% and while I was pleased to finish in the top 10 in such a strong class, I knew (and was told by Chef d’Equipe Glennis Barrey) that we needed to step on our motor to rattle the top guys. The next day was super busy with 8 tests starting at 8.40am and finishing at 5.50pm. We had Bellario and Capulet in the Medium tests as well as the Advanced Freestyle and Royal Oak II in the PSG Challenge and the Inter 1 Freestyle. Bellario relaxed into his work and put together a lovely Advanced Freestyle to gain 69.17% and be awarded Australian National Advanced Freestyle Champion. He was very good in his Medium tests to win both with over 71% and was crowned Australian National Medium Champion. He caused quite a stir with everyone commenting on the quality of his temperament and training as well as his natural abilities. He is still only 7 and he is just going from strength to strength. Capulet did a nice Advanced Freestyle to run 8th but he was tired by the time it came to his Mediums. He did a good job and is a super honest ride but he was just a bit flat as he had his 3 tests quite close together. Royal Oak’s first test on Saturday was the PSG Challenge. 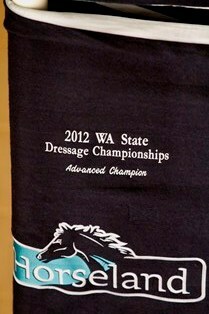 This is an event for the top 12 PSG horses in the country that are 10yrs and under. Given that Royal Oak II has only just turned 8 it was credit to him that he got a start in the class as he was definitely one of the youngest horses. The test was super apart from mistakes in the walk pirouettes and in that strong a class, you cannot afford to make a mistake! He came away with a 66.74% and 4th place. His next test was the Inter 1 freestyle which was fraught with drama from start to finish! Of the 12 horses that qualified, 2 were eliminated and 2 retired. Three of these horses were the three immediately before our test! Our own test was not without drama with a mishap from the arena gate crew which did unsettle Royal Oak II for part of his work. This was a real shame as he effectively missed a compulsory movement which hurt our score. At the end of the day though, mishaps like that happen and we need to be able to ride through them, so you put this down to experience and move on!! 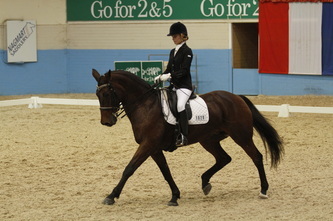 Royal Oak II still finished a good 5th with a score of 67.45%. The final day was a pretty easy day with just the PSG on Royal Oak II. This was a huge class and we were in the first group in the morning. Royal Oak was just getting better and better and came through with a good test for a 69.18%. This put us in 2nd place early on by only 0.16% and we were hoping to stay there! In the end we ended up in 4th place but still only 1.42% off the leader. Again we were super pleased that he had got better and better throughout the show and given he is still green at that level, we are really excited for next year!! All in all it was a fantastic show. We have taken horses over to a number of shows in the last 4 years and each time we have come back knowing that we are on the right track. There is no question that the horses that we have are some of the best in Australia and are arguably the best to come out of WA in recent times. Particularly Bellario who has done 3 National level shows and come away with National 5yr Young Horse Champion, Runner up National 6yr Young Horse Champion, Champion 6yr Young Horse at Sydney CDI and now National Medium Champion and National Advanced Freestyle Champion all at the age of only 7yrs. Royal Oak II showed really well in very strong FEI classes against combinations that were significantly more experienced at that level than we were. Thank you to everyone who has supported us, Kate Barton and Gill Botten for allowing us to be part of such wonderful horses’ careers, Marg and Barry Stokes who tirelessly assist in any way they can, Melissa Cook who was a sensational groom for the trip, the team at home who kept everything ticking over. We could not have done it without you guys and I sincerely appreciate the support. Also to everyone who has supported us, thank you, all your ‘good luck’ and ‘congratulations’ are very much appreciated. It has been a wonderful journey so far and it is only just beginning!! Joann Formosa celebrates winning the Gold Medal in the Equestrian Individual Championship Test - Grade Ib on Day 3 of the London 2012 Paralympic Games at Greenwich Park. Formosa nudged multiple Gold Medal Olympian and hot favourite in the 1b, Great Britain’s Lee Pearson into the Silver Medal position on Gentleman. Formosa 51 years old and based in Victoria, rode a brilliant test scoring 75.826%, ahead of Pearson’s 75.391%. Worldwide PB was previously owned and trained by Claire Seidl of New South Wales, and Formosa has been forging a more and more successful partnership with the stallion since she bought him 9 months ago. The final leg of the Paralympics for Formosa and Worldwide PB will be the Freestyle which is scheduled for Monday. We wish her the best of luck! These days riders have access to truly wonderful horses, but sometimes they are working too much in the saddle & supporting the horse too much with the reins. This limits the ability to develop the horse’s potential. Andreas SchÖffner, our Young Horse Guest Rider, is doing a wonderful job on these horses – his first priority is to get the horse to react to be in front of the rider’s leg, then he immediately rewards the horse. We want to see elastic paces, we don’t want to see ‘overproduced’ horses with jacked up fronts, and ‘auction trots’. We want to see the horses 100% forward. Priority Number One is that the horse must go freely forward of itself. If there is compromise over the forward when it’s young, there will be compromise over the forward in collection later. 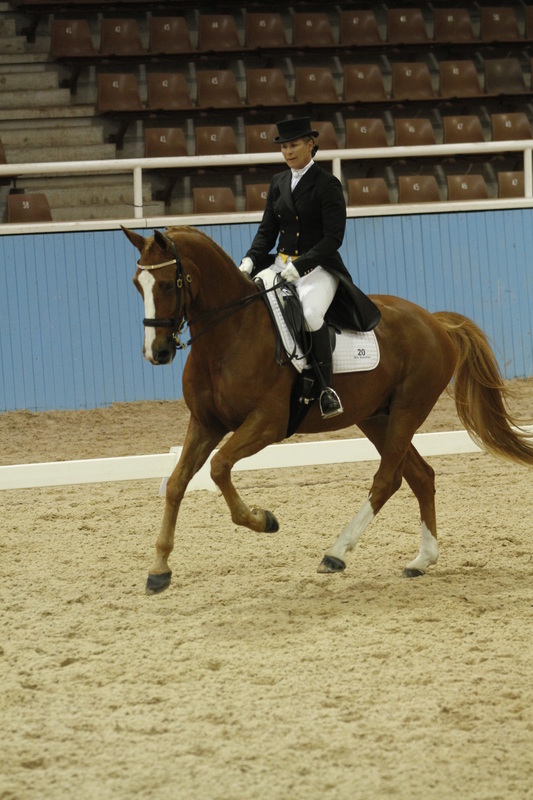 If the trot is genuine, the rhythm will stay exactly the same in the lateral work. In canter, after rhythm, the uphill tendency is the most important thing, as this will not change much as the horse develops. ‘Modern methods of communication make it easier for anyone to have to have a pop at people, and they can do it anonymously! Today so many people regard themselves as experts. Personally, I’m not that interested in what those kinds of people think, what I want to know is what genuine experts think!’ said FEI 5* Dressage Judge Stephen Clarke at his Seminar in Sydney. 'When giving an 8, don’t think "Ooh, I’m giving an 8! ", instead think "Why am I taking 20% of the marks away?" 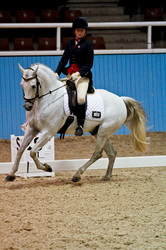 The full article on Stephen Clarke's Dressage Seminar on 6 May 2012 is now posted on the Seminars page on this website. The weather was perfect for the Guinot Spring Dressage Festival, held at the State Equestrian Centre on 8th & 9th September 2012. Sponsors were delighted with the excellent numbers, and impressed with the busy program – 2 days chock a block, with 450 tests, attracting many spectators to the 6 arenas that ran over the weekend. 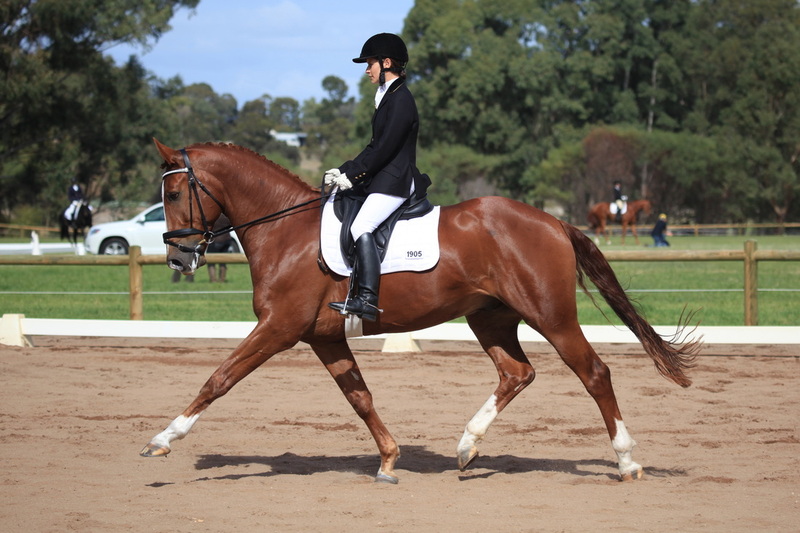 Dressage Promotions Inc and Dressage WA are committed to ‘a broad church.’ The goal in WA is to encourage as much participation as possible, Dressage for everyone from Grand Prix to Pony Club, Primary School and Preparatory levels at Perth’s premier equestrian venue. Riders had the opportunity to compete in front of some of the best local and interstate judges in Official, Associate, Adult Rider and Pony Club classes. Guest judges Sue Cunningham (NSW), Sue Scaysbrook (NSW) and Jacqui Huppert (QLD) judged Associate Prliminary through to FEI, as well as mentoring a number of upgrading judges. Sue Scaysbrook, currently also Co-Director of ThinLine Dressage with Altitude CDI3* & CDI-Y held in Orange NSW, was impressed by the professional way the event was run, particularly the fantastic sponsorship, the way judges and sponsors were looked after, and the gala atmosphere at the presentations. Official riders competing in the Dressage Horse/ Pony of the Year Leaderboard (DHOYL) Finals heaped glowing praise on Event Director Tanya Appleby, and Event Secretary Sandy Taylor. 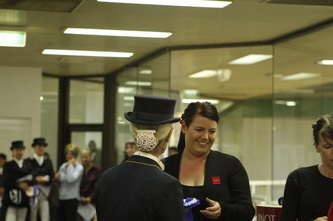 ‘These two ladies have done a truly amazing job of organising fantastic Dressage Festivals for WA for the last 3 years. We really appreciate the huge amount of work they have put in to make the events so incredibly successful, and we are very sorry to see them step down from DP Inc. We wish them all the best in their future projects.’ Winner of the DHOYL Medium, Jackie Lancaster is heading East with Lancaster Wines Diamantini for the Australian Dressage Championships in Sydney, and said she was delighted to ride down the centreline to Eastern States judges in each of her four tests in the Medium and Advanced. The Bluefields Rising Star Challenge was won by Regan Weightman from Busselton scoring an impressive 69.722% on Yallatup Liberty. Judged by Hazel Hikins and Roz Tippet, it showcased some promising horses in their first year of official competition. Centreline judge Hazel Hikins observed that the best in the field showed the harmony judges are looking for in the modern day Dressage horse which must be a happy athlete. 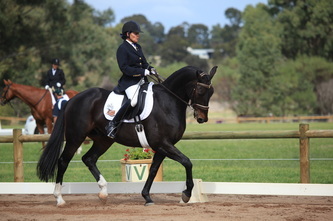 Ramseys Dressage Horse of the Year Leaderboard titles were decided by the double points awarded at the Final Rounds at the Festival, and these were close in some classes, particularly the Advanced where Deon Stokes on Bellario just nudged Jennine Smith on Bonbonniere into Reserve position. Other titles were Preliminary - Teagan Sutton on Amberville Rosenstein, Novice – Polly Huntington on CallmeGus, Elementary – Kristi Suiter on Flowervale Freedom, Prix Saint Georges – Wendy Barker on Ellis Brook Lorenzo, Intermediate I – Sara Thean on D’Amour, Intermediate II – Louise Hillman on DP Finean, and Grand Prix – Rox Tippett on Broadstone Dramatik. The WA Associate Dressage Championships - a unique event, not held anywhere else across Australia was a key part of the weekend. Congratulations to Associate Champions - Preliminary Horse - Jasmine Ellison on Bridlewood Aylwin, Preliminary Pony - Katlin Hull on Judaroo Lotus, Novice Horse - Sue Morgan on Mozart, Novice Pony - Chloe Moon on Tyalla Oriole, Elementary Horse - Marjorie Radford on Sonique, Elementary Pony - Chloe Moon on Tyalla Oriole, Medium Horse - Marjorie Radford on Sonique. Europa Midland sponsored the Young Dressage Horse Championships, entries in the field were identical with last year’s YDH Championships, which was pleasantly surprising for the organisers. A committee member explained, ‘At the Rider’s Forum in April, riders made it clear they wanted the event held at the Spring Festival. We had reservations, as the qualifying period for the Australian YDH Championships only commences on 1 August, so Young Horses are extremely young in early September, and we were concerned that this would impact on entries, as last year’s YH championships was held several months later, so the horses had a little more time to mature and more time to train’. 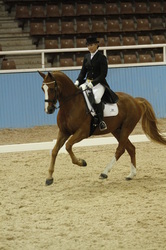 Bello Gallico, an imported gelding ridden by Judy Weber, was the winner of the Young Dressage Horse. The Young Dressage Horses were judged in the first qualifying round by EA Young Horse Judges Sue Cunningham (NSW) and Wendy Barker (WA) and in the second deciding round by Jacqui Huppert (QLD) and Sue Cunningham, judge of many Australian Young Dressage Horse Championships. Laura and Jonathan Pritchard from Guinot provided fantastic sponsorship for the WA Dressage Festival for the second time this year, ensuring the success of the event along with newcomers, Margaret River based Bannister Downs Farm, family owned producers of premium milk products. These sponsors enabled organisers to provide competitors with a range of beautiful prizes including product hampers, Guinot facial vouchers and a range of magnificent embroidered woollen rugs, woollen quartersheets, saddlecloths and saddle covers. Other major sponsors included John Kohnke Products, Equissage, Bluefields Stud, Europa, Ramsays Horse Transport and Healthways. Sadly, the committees have resolved that unless an appropriate organizer expresses interest very soon, the Autumn Dressage Festival, which was earmarked to incorporate a revised Dressage Horse/Pony of the Year format, will not be held next year. Dressage Promotions Inc has advertised for an Event Director for the Festivals in 2013, but has had no responses. The State Dressage Championships for Official and Associate horses will be held at the Spring Dressage Festival in 2013. Congrats to WA’s Steph Spencer & Rambo - Success in the Big Tour! To say that a lot has changed since I’ve made the big move to Victoria is quite an understatement! It started out 18 months ago when an amazing opportunity came up to be based with Mary Hanna at her beautiful property on the Bellarine Peninsula and become a part of the Team at Statene Park. I put uni on hold for what I thought would be 6 months and packed up myself and my little FEI mare Tallong Coral. Under Mary’s magic, we improved out of sight and had some wonderful results but there came a time where little Coral just couldn’t compare with the big, fancy warmbloods and the hard decision arose that it was time to start looking for something else. It really was a case of luck and being in the right place at the right time when Mary offered me one of her beautiful horses, Rambo. Naturally, I jumped at this offer and am very grateful to my parents and Mary and Rob Hanna for this once in a life time opportunity. It has been one year now that I have had Rambo and I have learnt so much all while having so much fun! He has a heart of gold and is such a beautiful boy that has really improved not only my riding but my understanding of Dressage. I kicked around at Small Tour for a few months to get to know him and form a partnership and then decided to put my foot down and just go Big Tour! I had nothing to lose and so much to gain! With the help of Mary when she came home for visits in between her campaign for London, Clemens Dirks and Gitte Donvig, I made the transition to Grand Prix; debuting at Boneo Park CDI in January. It was the perfect place to start as it was a very well run event with fantastic facilities and surfaces. I was up against some big names in the Inter 2 such as Heath and Maree but we held our own coming 3rd behind the two with a 65%. This gave me great confidence for my first ever GP the next day. It is such a big jump from small tour and I was out of my comfort zone but I had to do it! Step one, I remembered my test! Step two, it was a mistake free one! Of course lots to improve on but I was thrilled with a 2nd place behind Diamantina with a 62%. 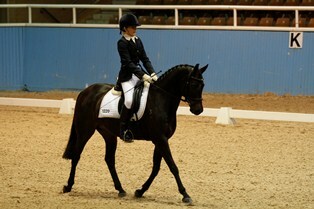 Next up was Dressage with the Stars, my first CDI-W in Victoria. I was very early on in the draw as it is done by rider rankings, it was a horrible windy day at Werribee but this didn’t phase Rambo and there was some nice work in there but again, lot’s to improve. We finished a very surprising 6th with 62.4% behind some very experienced riders. I was thrilled that I had made it into the Kur! Dad had done a wonderful job of composing a beautiful assortment of music that suited Rambo brilliantly. I had lots of fun riding to it and it was a great atmosphere, it mostly went to plan and we finished one better with a 5th and 64.4%. Time flew past and before I knew it, Mum and Dad were back over (they sure do rack up their frequent flyers!!) and we were on the road to Sydney CDI where we were entered in the Under 25 Inter 2 and Grand Prix classes. This was the first time in Australia this competition was put on for us and I hope it is continued. The Young Rider Grand Prix is a different test that is in between the Inter 2 and GP so it’s a nice stepping stone into the Big Tour. We came home with two wins and two 64% from the 5 international judges still with more in there! The next competition is back with the ‘big kids’ at the Melbourne Three Day Event CDI-W. Fingers crossed it all goes well! A special thanks to my family, the rest of the Team at Statene Park, Nature Vet, Bluefields Warmblood Stud and Spooks Riding Wear for all of their continued support. The Fédération Equestre Internationale (FEI) and the International Dressage Riders Club (IDRC) are happy to announce that agreement has been reached on the differences between them concerning athlete representation, governance of the IDRC and the two removed IDRC members. As a result of this agreement, proceedings to suspend the IDRC have been dropped and a hearing before the FEI Bureau scheduled for 7 June has been cancelled. - IDRC President, Kyra Kyrklund, will be immediately appointed by the FEI Bureau as the Athletes' Representative to the FEI Dressage Committee on an interim basis, until such time as a permanent appointment is made. "It was important for the sport, particularly in an Olympic year, that this matter was resolved in an amicable way and we are very happy that this agreement is substantially in line with the proposals we made to the IDRC some months ago," FEI Secretary General Ingmar De Vos said. "We look forward to working closely with the IDRC and welcome the Club's President Kyra Kyrklund in her new role as Athletes' Representative on the Dressage Committee." Kyra Kyrklund (FIN) joins the Committee as the new Athletes' Representative. "The Club's goal has always been the riders' right of representation on the Dressage Committee and we are delighted that we have reached agreement with the FEI so that the athletes' voices can be heard before the Olympic Games this summer", IDRC President Kyra Kyrklund commented. The FEI Dressage Committee is chaired by Frank Kemperman (NED), and the members are Anne Gribbons (USA), David Hunt (GBR), Elisabet Lundholm (SWE) and Thomas Baur (GER). Kyra Kyrklund (FIN) joins the Committee as the new Athletes' Representative. can sit along the front bench. · The front and side windows are perspex, and can be open or closed. · The boxes are high enough to provide judges with a good view of horses. 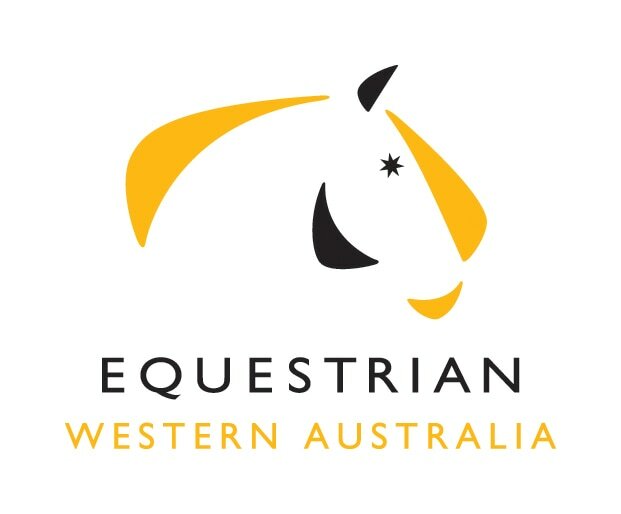 Dressage WA has participated in seven meetings to ensure that the new Judges Boxes for the International Arena provide enhanced judge education through mentoring and sitting in. 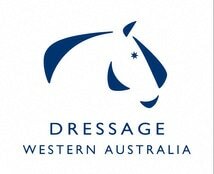 Dressage WA will cover the costs of construction of the largest ‘C’ box, through $3,000.00 in funds raised by the committee at the Christmas Dressage Day in 2011, and through DDF Funding. DWA will place their logo on the centreline box. Stephen Clarke at the Seminar at the CDI3*. Stephen will be Head of the Dressage Ground Jury at the London Olympics later this year. Falstermeyer & Matthew Dowsley - Winners of the Intermediate I CDI with sponsor Mulawa Stud, and Judges, Maribel Alonso and Stephen Clarke. This combination were the first to ride a test at the seminar, and set a very high standard right from the start, earning many 8’s from Stephen. 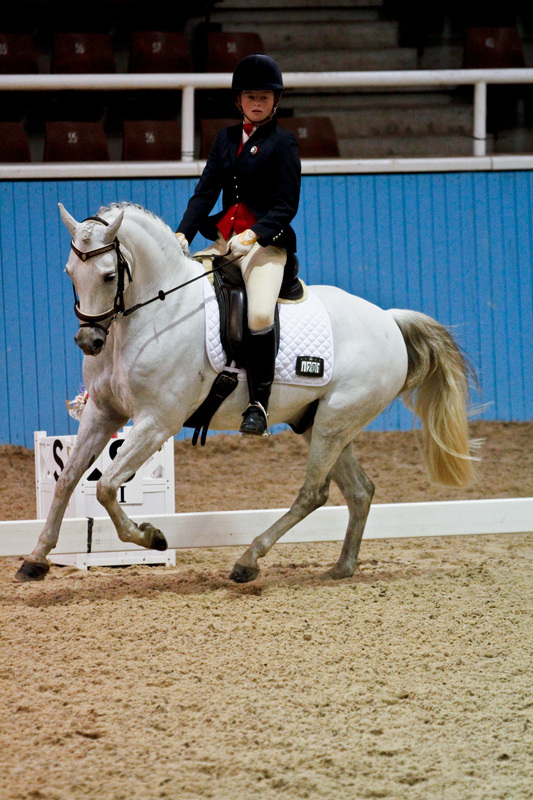 ‘Too easy’ was Stephen’s comment about the horse’s fluent and effortless sequence changes on the diagonal. He complimented Matthew on the confidence and ease of the work and the harmony between the horse and rider. Above - Diamantina IV & Maree Tomkinson won the Grand Prix CDI with a score of 68.936% & was second on 70.675% to Regardez Moi & Heath Ryan in the GP Freestyle. Maree rode for Stephen at the seminar, and he was very complimentary about Diamantina IV, saying the mare has the potential to be an absolute top horse with huge potential and more scope and energy and expression than you could ever want. Tango V & Carolyn Wagner fifth in the GP CDI & GP Special & eighth in the GP Freestyle, Carolyn rode for Stephen at the seminar and Stephen worked on developing the bend. He had Tango performing shoulder in and Caro releasing the inside rein to check that the horse carried his own bend rather than expect the rider to carry him. Roger Fitzhardinge rode Weltsohn at the Seminar for Stephen, a longstanding friend, and Stephen urged Roger not to compromise when seeking a sharp reaction to the leg and more acceptance of the bridle, which produced an immediate response to the rider’s aids and resulted in a clear improvement in the quality of the engagement, self carriage, cadence and expression.